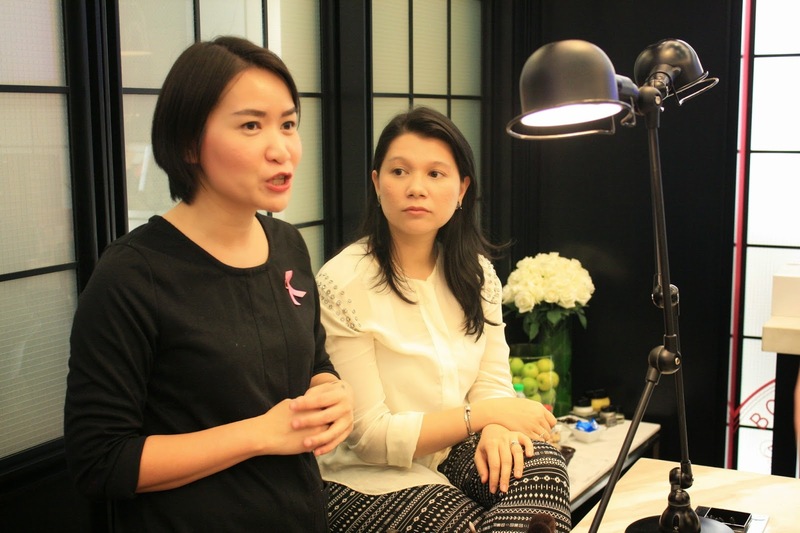 Inconjunction of Fatin's Chocolate Catsz blog 5th anniversary, Bobbi Brown decided to throw her a workshop party for her and her followers on a wonderful 2nd weekend of October. I was one of her lucky blog follower to get chosen for this workshop party and I can't tell you how excited I am! There are super yum chocolate cupcakes, buns, fresh juices and tidbits prepared for us, roam around the shop for awhile and then the workshop started with an opening speech from both Bobbi Brown's and Fatin. 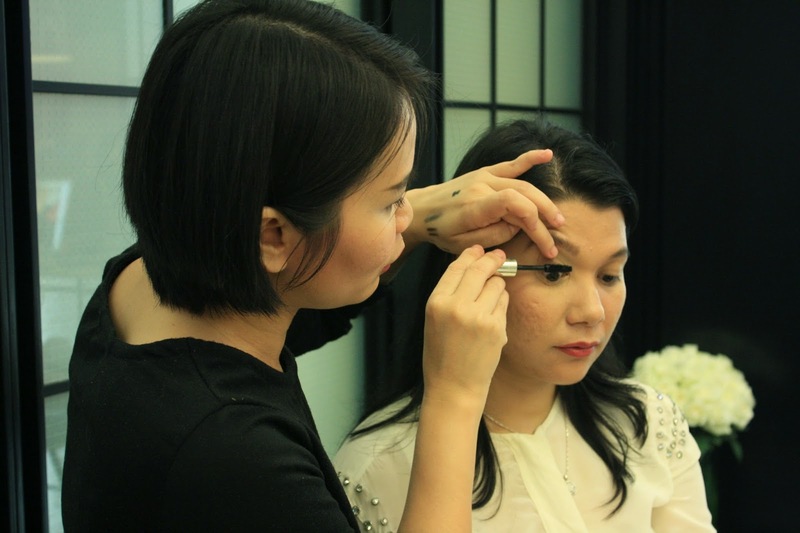 Like aforementioned, this is an "instant pretty" makeup workshop, so every technique that I learned that day is efficient in lighten up your face in just few minutes. Simple but important steps that you feel you have to oblige in order to look fresh at the start of the day! No more sleepy face! 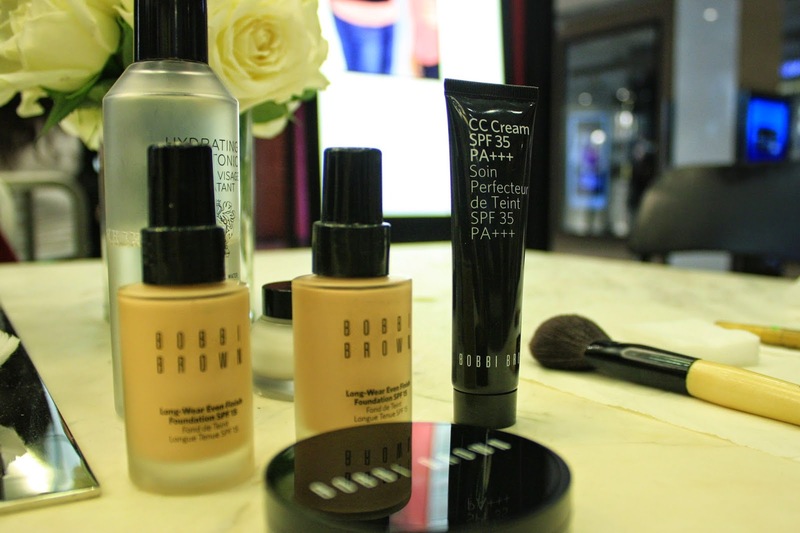 I heart Bobbi Brown's concealer! As you see, concealer is a must! 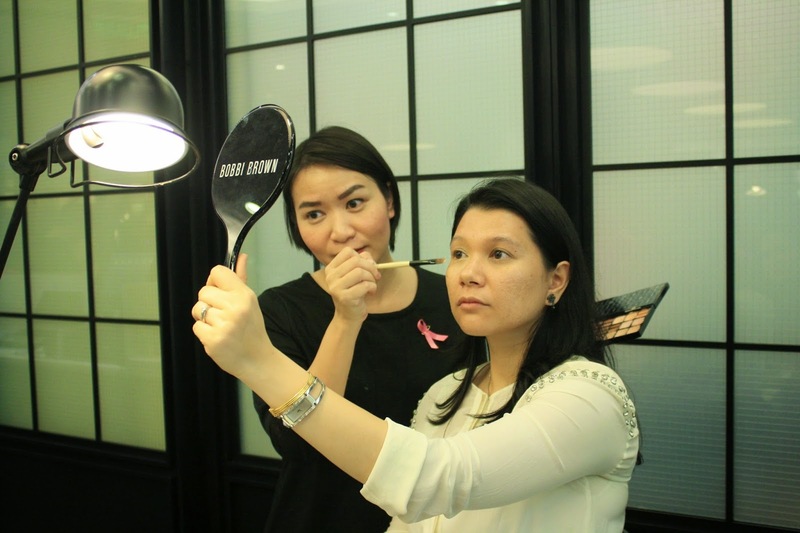 In order to make your face figure look 3D, shading isn't needed if you draw your eyebrows with Bobbi Brown's method. Draw it abit squarish at the start of your eyebrow it will instantly make you look like you have high nose bridge without having put some shading powder around your nose. One more makeup technique GET! Lip colour is important for not looking like a walking dead zombie in the morning too! She's amazed by how instant pretty she looked! To turn your day look into night look, put on some mascara and eyeliner for an instant glam up! 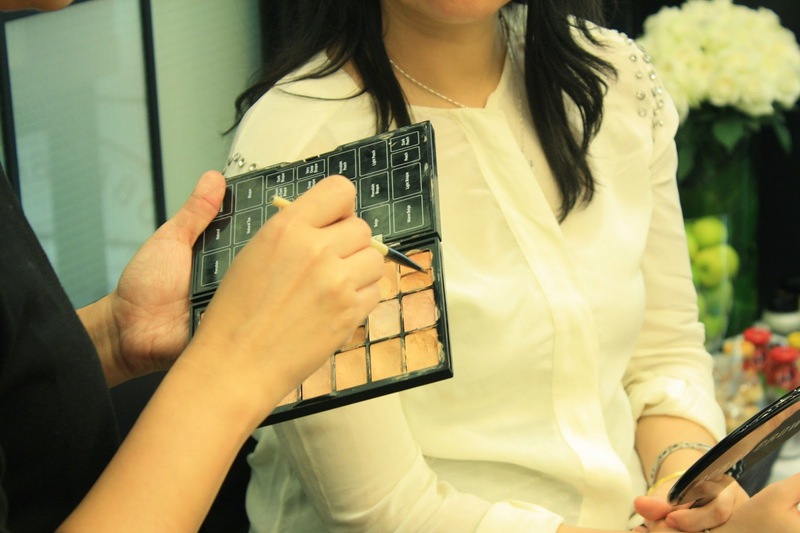 After the workshop ended, we get to roam around testing all the makeup that we wish to test. 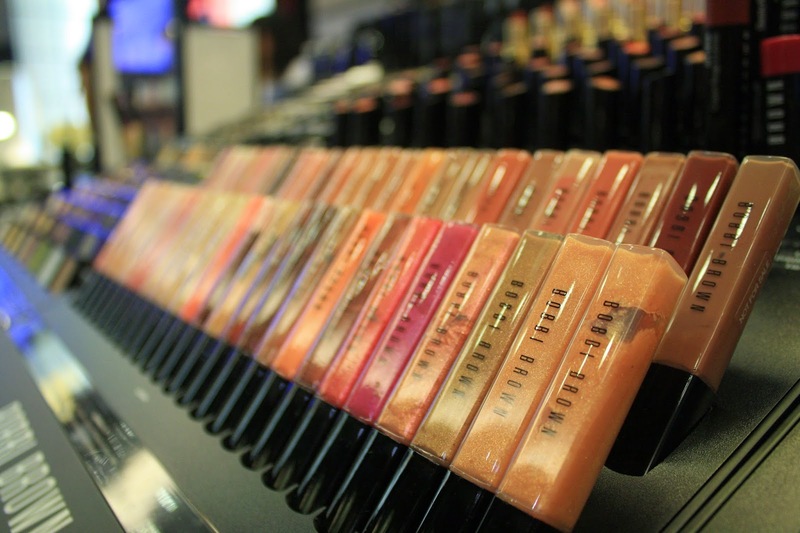 Makeup artists of Bobbi Brown's were all so helpful and patient in explaining all my questions bout their makeup. 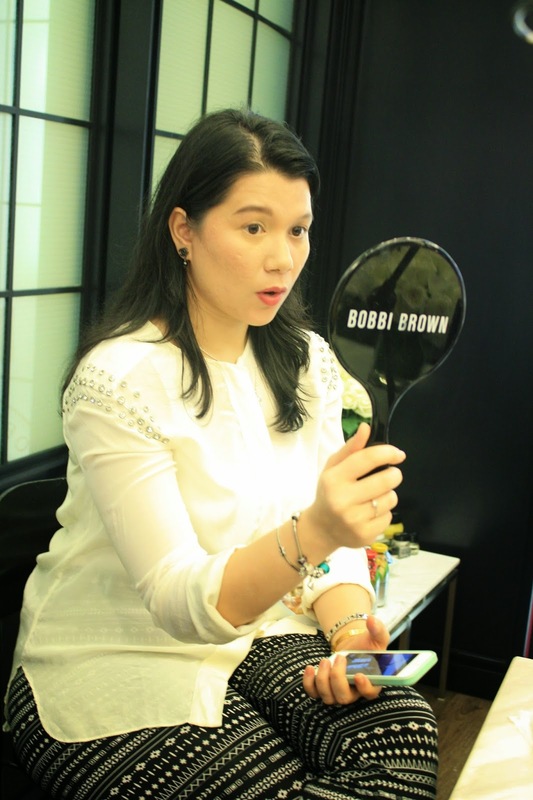 I made my first Bobbi Brown purchase in my life that day! A good start to good makeup isn't? 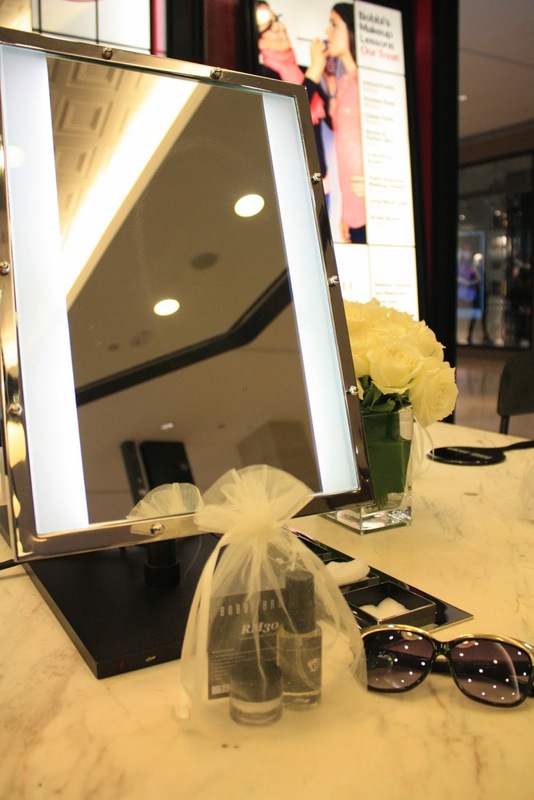 Thank you Fatin and the whole Bobbi Brown team for such a wonderful day. 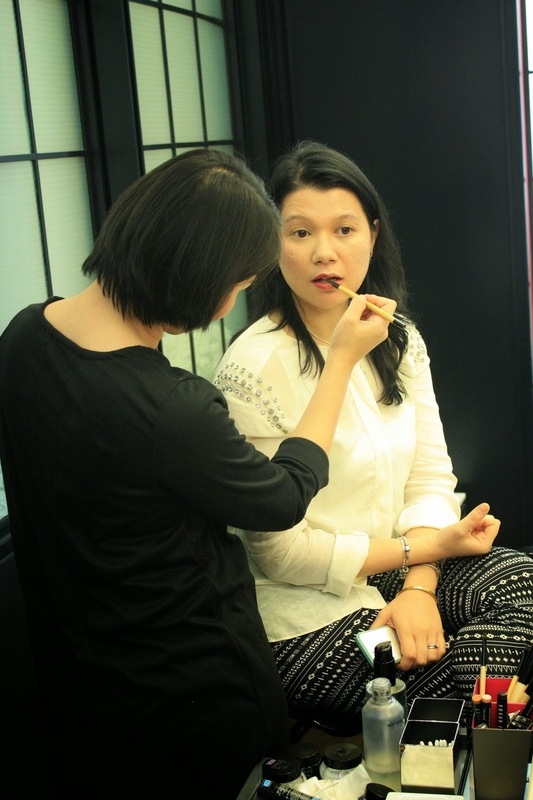 I super love Bobbi Brown Pot Rouge in Calypso Coral which the colour suits me perfectly, and their grains face scrub with Azuki red beans bits in it! Thank you Fatin and Bobbi Brown! 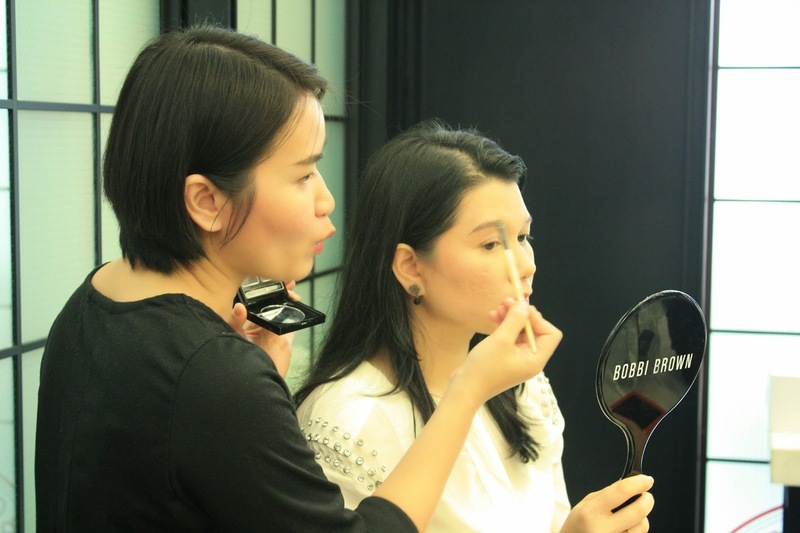 Feel free to drop by at any Bobbi Brown makeup studio to enquire about their workshops, they have so many different makeup techniques which suits different kind of occasion. I feels like going for their bridal makeup workshop already! 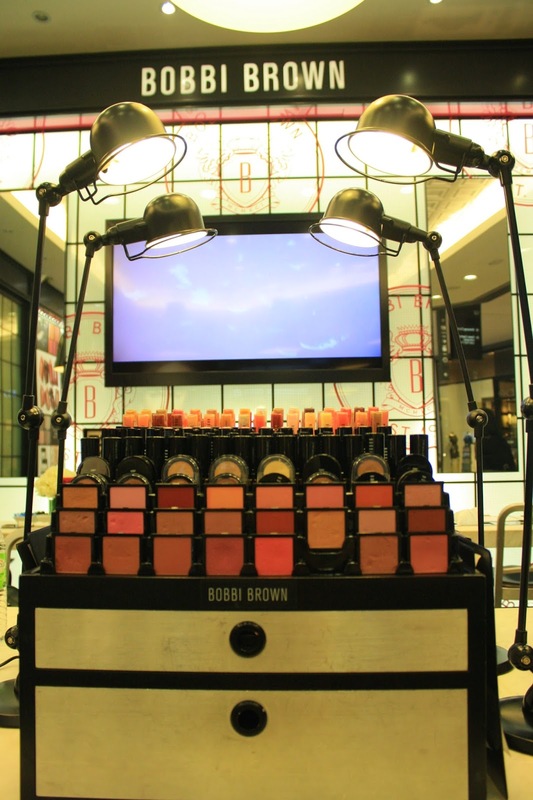 For more information, do log on to Bobbi Brown Malaysia's Official Facebook Page!